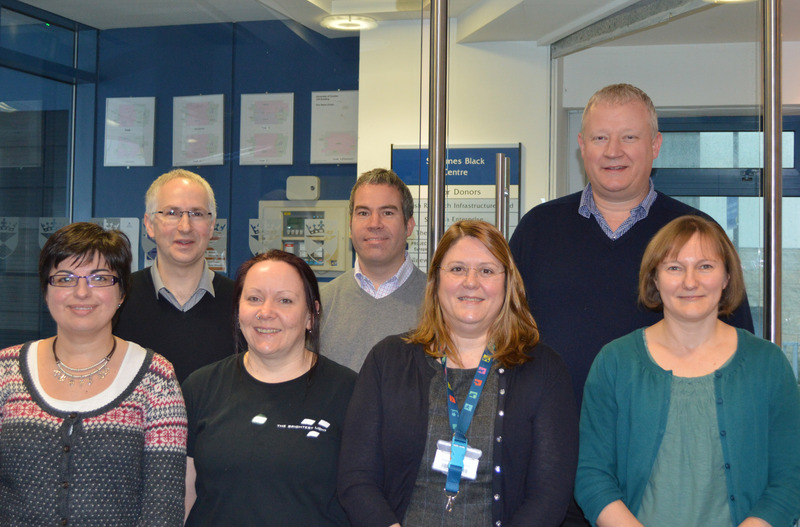 A significant milestone in the development of a potential new antimalarial medicine has been reached by scientists at the University of Dundee, in partnership with the Medicines for Malaria Venture (MMV). A compound developed in the Drug Discovery Unit at Dundee has been selected by MMV, following a positive recommendation by MMV’s Expert Scientific Advisory Committee, to enter preclinical development. Every year, there are over 200 million cases of malaria across the globe, resulting in about 627,000 deaths from this disease. Most of the deaths occur in children under the age of 5 and pregnant women are particularly vulnerable. There is an urgent need for new, well-tolerated, effective and affordable drugs. One reason for this is that the parasite that causes malaria is developing resistance to current medicines. The DDU team has been working with Medicines for Malaria Venture (MMV) to identify potential new treatments for malaria. This project began when one of the DDU collections of compounds was screened against the parasite that causes malaria. This process identified a start point for a drug discovery programme. This start point was then modified through subsequent cycles of design, synthesis and testing by expert teams of chemists and biologists, resulting in the discovery of this new antimalarial compound. With more than 900 scientists, research students and support staff from 61 countries and external funding in excess of £50million per annum, the College of Life Sciences at the University of Dundee is one of the largest and most productive Life Sciences research institutes in Europe. The College has an international reputation for its basic and translational research and was recognised in the 2011 Biotechnology and Biological Sciences Research Council Excellence with Impact Awards for 'Greatest Delivery of Impact'. The University of Dundee is the central hub for a multi-million pound biotechnology sector in the east of Scotland, which now accounts for 16% of the local economy. www.dundee.ac.uk.